from the placenta of rose. The placenta is widely used in our daily life such as cosmetics and food. However, conventionally placenta was present only from animal origin. Therefore, considering the safety aspect, GINZA TOMATO chose to develop the phyto placenta. 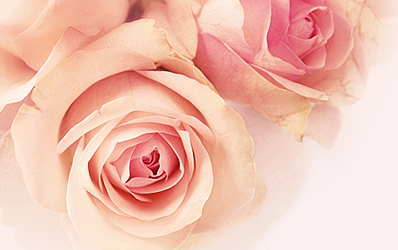 We have focused on the beauty image of "rose" among the plants and also the promising anti-aging effects of "Roses". 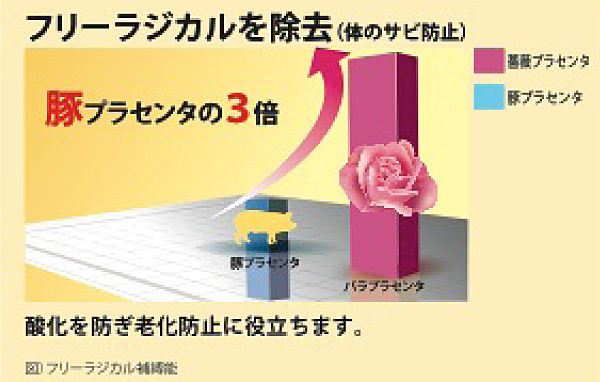 We, Ginza tomato, are the first company in the world to have developed the rose placenta. We have spent many years of researches before becoming the first company to have succeeded in obtaining placenta extract from the placenta of damask rose. 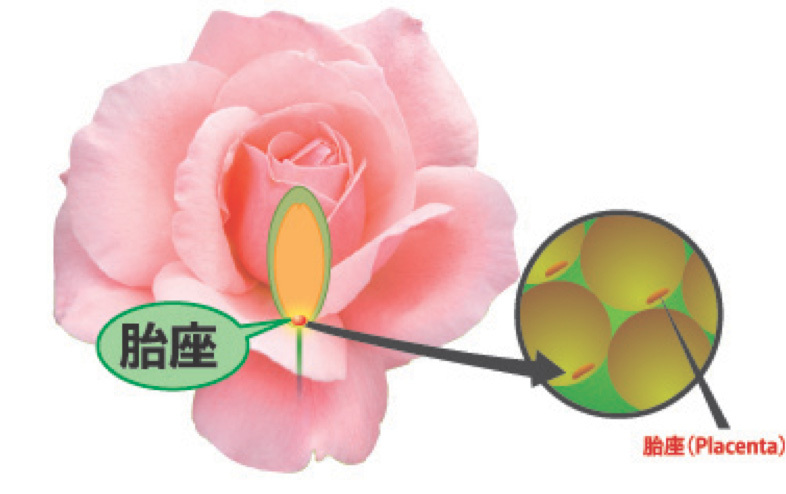 Rose placenta extract promotes the synthesis of cytokine such as EGF etc in the cell. Rose placenta is greatly different from the placenta derived from animal origin, and there is a data which indicated approximately 125% increase of EGF in human through oral intake of rose placenta. Rose placenta extract contains polyphenols and its superior antioxidant power and free radical removal effect are confirmed. Rose placenta extract activates the keratinocytes and regenerates the stratum cornuem of skin. It promotes metabolism of skin which lead to the reproduction of skin to maintain youthful skin with luster and the texture. In addition, due to the improvement of the collagen production ability by the fibroblastic activity, we can expect the benefits such as the improvement of wrinkle and the recovery of skin elasticity. Beverage, supplement, jelly, general food products including sweets etc. Skin Care（Lotion、Essence、Cream、Face Mask、Pack etc）、Soap、BB Cream etc. 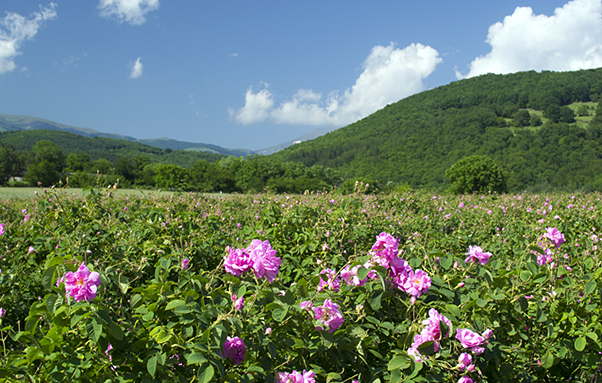 We adopt the original species of Bulgarian damask rose which is free of agricultural chemicals. We collected and purely cultured the cell of which the placenta is in the most activated phase, 2 to 3 weeks after pollination. Rose placenta is an extract obtained from the cultured placenta cell. We can be stably supplied rose placenta extract without being affected by the external factors such as weather. We have obtained a patent, including the production method. Have you ever looked at a rosehip? A red but very small fruit can be found at the end the branch. In the fruit, the point of contact between an even smaller seed and fruit is where the placenta located. Due its very small size, it was very difficult to obtain and use the placenta of rose till now. Ginza Tomato got the cooperation of ten overseas doctors and succeeded to be the first in the world to get the placenta extract from damask rose after spending 6 years of time. Behind of this success, there are deep technology and molding related to the "phyto placenta" developed for half a century. Not only merely extracted the rose placenta, but we also confirmed the superior beauty and health benefits and managed to get the patents. Bringing up an effective culture stock, enables us to obtain the extract with superior functionalities. 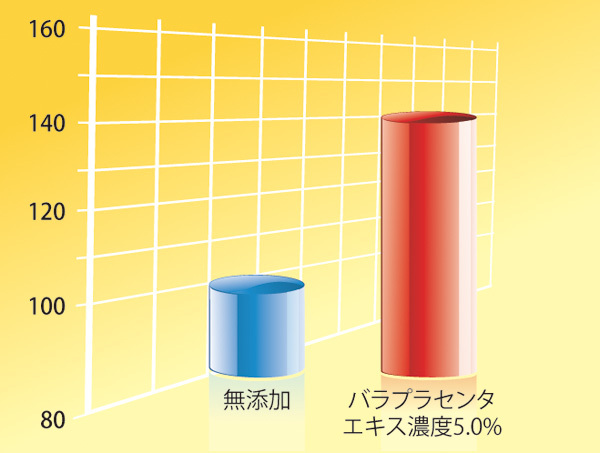 The functionalities we found attracted the attention of Tokyo University and we carrying out co-research. 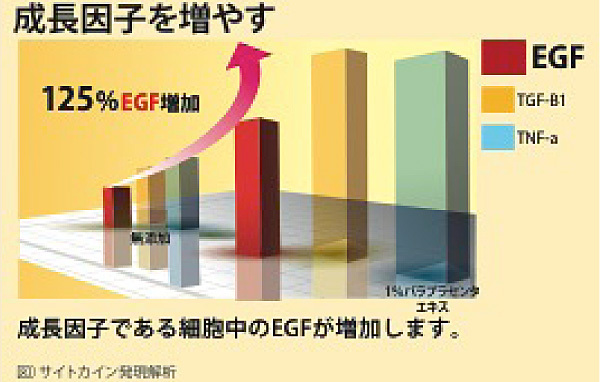 The activation and protection cell led to the various benefits of rose placenta such as "the turnover promotion of the stratum corneum", "collagen synthetic promotion" , "antioxidant action" , "growth factor EGF increase effect", "neuronal activity and synapse growth stimulation" and "a tyrosinase activity suppressant effect". Further studies are conducted for its function development and the trend attracts the attention from the various fields. We have many customers adopted our material after starting sale in 2011. There are the adoption results in each European country including Germany, U.K., Switzerland and Asian countries including Korea, Thailand, China, Taiwan, Hong Kong, Malaysia, Vietnam, Indonesia etc mainly by the major cosmetic companies in those countries. We are able to maintain a stable supply without being affected by climates because the adoption of our culture technologies. Copyright © 2000.Ginza TOMATO All rights reserved.